Byzantine Collection Courtyard Gallery (left) and View of Courtyard Gallery from the Music Room (right). Not only the study programs have evolved over Dumbarton Oaks’ seventy-five year history. The Dumbarton Oaks Museum similarly has changed from its beginnings as a collection primarily for scholars and serving the public almost as an afterthought. Before the renovation of the Main House and museum in 2007–8, each collection (Byzantine, Pre-Columbian, and House) was under the purview of its respective department, and special exhibitions, usually of objects from the Byzantine Collection, were sporadic. In 2008, the museum reopened with a name change, a renewed sense of purpose, and the mission “to connect scholars with art and art scholarship to the public.” Under Gudrun Bühl, curator and museum director since 2008, the museum has also pursued a robust agenda of temporary exhibitions, many of which include objects from across the three collections. Engagement with the public has also increased. Museum attendance has more than doubled since 2013, when museum hours were extended, from 2:00–5:00 p.m. to 11:30 a.m.–5:30 p.m. Bühl has also increased the online accessibility of the collections and has begun collaborations with Harvard University classes, area universities, and high schools. In a similar vein, the objectives of the publications department have expanded since 1941, when it began publishing Dumbarton Oaks Papers, an annual journal for Byzantine studies. Today, the publications department produces between three and six books a year, including papers from the annual Byzantine, Pre-Columbian, and Garden and Landscape Studies symposia and colloquia. Moreover, Dumbarton Oaks has embraced the world of the digital humanities, making use of opportunities for wider dissemination of scholarly information and texts via the Dumbarton Oaks website or through online databases such as JSTOR. In addition, in conjunction with Harvard University Press, Dumbarton Oaks has initiated a new series: the Dumbarton Oaks Medieval Library (DOML), which includes Byzantine Greek, Medieval Latin, and Old English texts with modern English translations on facing pages. The first titles in the series appeared in 2010, and today more than forty volumes are in print. DOML is modeled on Harvard’s Loeb Classical Library, which serves a parallel function for classical Greek and Latin texts, and will continue to expand its offerings, aiming to increase the accessibility of medieval and Byzantine literature to both the general public and scholars. 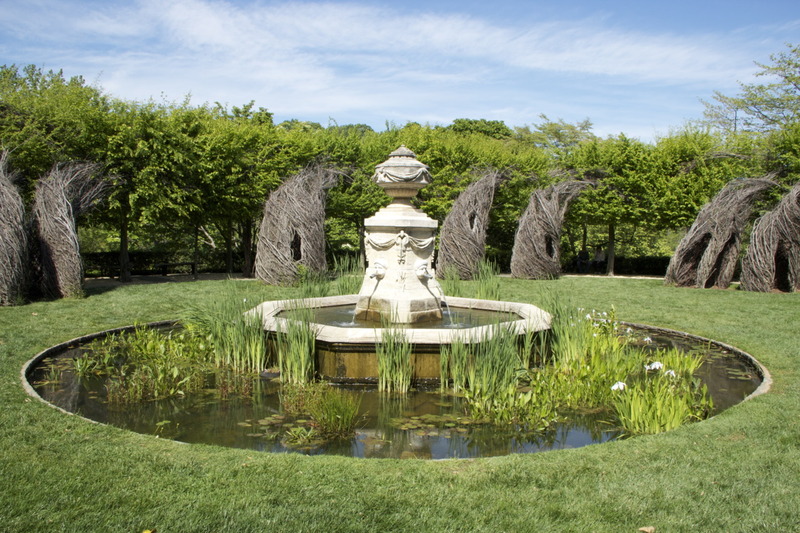 The Dumbarton Oaks Gardens are also cautiously changing, creating new garden experiences for an ever-wider audience. Beginning in 1922, Beatrix Farrand worked closely with Mildred Barnes Bliss over decades to design the gardens, making them one of the oldest parts of Dumbarton Oaks. The gardens provide a backdrop against which visitors and scholars alike may reflect and temporarily escape from typical city scenery. Gail Griffin, the director of gardens and grounds, strives to stay true to the original design while allowing for some flexibility in adapting to changing garden conditions, contemporary art installations, and planting variations.